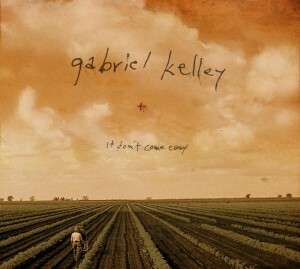 IT DON’T COME EASY, the debut album by Nashville-based singer-songwriter Gabriel Kelley, will be released on July 10 from Badge Music Group. The 10-song collection was produced, engineered and mixed by Grammy®-award-winner Neal Cappellino and features a stellar group of musicians backing up Kelley’s vocals and acoustic guitar work. Supporting Kelley on the tracks are some of Nashville’s finest players: Brad Pemberton and Jon Graboff (both formerly of The Cardinals), Dave Jacques (John Prine, Shelby Lynne), Gabe Dixon, Bekka Bramlett (Fleetwood Mac, Joe Cocker) and the legendary Reggie Young (Elvis Presley, Dusty Springfield). Recorded live to analog tape to achieve a vintage aesthetic, IT DON’T COME EASY evokes comparisons to early Neil Young and Ray LaMontagne. The material is highly autobiographical, and Kelley wrote most of the album’s 10 tracks. 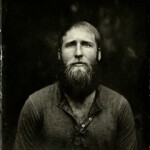 Whether it’s the harmonica-driven “Faith,” the haunting “When Is Enough” or the laid back title track, Kelley delivers with songs that offer a glimpse of his soul-one of compassion, honesty and simplicity. Kelley will celebrate the release of IT DON’T COME EASY with a special show at Nashville’s Mercy Lounge on Wednesday, June 27. He will be backed by many of the players who appear on the new CD. Kelley recently completed a series of dates opening for Reckless Kelly and will join Roger Clyne & The Peacemakers as their support act beginning July 15. The scheduled dates are as follows: June 15-Antone’s, Austin, TX; 16-Gruene Hall, New Braunfels, TX; 17-House of Blues, Dallas; 19-Blueberry Hill, St. Louis; 20-High Noon, Madison, WI; 21-Shank Hall, Milwaukee; 22-Cabooze, Minneapolis; 23-Cubby Bear, Chicago; 24-Taft Theatre, Cincinnati; 28-BB Kings, New York; 29-World Café Live, Philadelphia; 30-State Theatre, Falls Church, VA; and July 1-Beachland Ballroom, Cleveland.